When it comes to promoting and marketing their products or services to a global audience, many business entrepreneurs have taken their business operations online with Windows shared hosting. 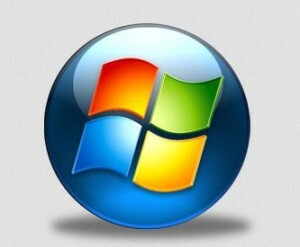 A majority of the computer systems of today have a Windows Operating System installed in them and this has resulted in a significant increase in popularity. So, when combined with shared web hosting, this service becomes known as Windows shared hosting. 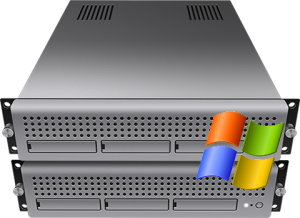 The affordability, dependability and the practicality of web hosting have significantly increased thanks to the simplicity and user-friendliness of the Windows Operating System. It must be kept in mind that webmasters can only go for a Windows shared hosting service to host their website if they used Microsoft applications and scripts to create their site. Shared web servers should be sufficient enough for the websites of small and medium-scale businesses. When using a shared web hosting service that is running the Windows OS, scripts like ASP, SQL, etc. can be conveniently operated. 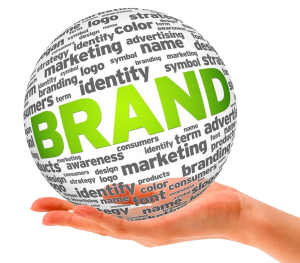 There is no doubt that companies can sell far more products and services if they have an attractive and professional website. Along with promoting their business effectively through an excellent website, business owners also, want to ensure that it proves to be a cost effective alternative for them. Fortunately, webmasters who opt to use Microsoft resources to create their website will not only end up with an extraordinary site but it will also cost them lesser. The Microsoft developing platform happens to be exceptional and simple. Windows shared hosting can be ideally used by webmasters who are running a small or medium-scale business and their website will not be dealing with a substantial amount of traffic. Business owners who are on a tight budget and cannot afford to spend a large sum of money on web hosting for their business website will find shared web hosting inexpensive. In shared web hosting, typically, multiple websites are hosted on a single server and the web hosting service is provided through a windows based platform. The server is separated into different sections once the server is connected to the internet. Each website hosted on the server occupies a single section, while the rest of the websites are hosted on the other parts. Such a server needs to be properly monitored and administered in order to maintain its performance since multiple websites are hosted on a single shared web server. Server installation on Windows OS, server management, security updating on a regular basis, and around the clock customer support are a few of the services you get. As long as a website does not have high bandwidth requirements and will be dealing with a limited amount of traffic, a shared web hosting service with the Windows OS should be adequate. Despite of being shared the resources of the server will be enough to allow a website perform smoothly. Therefore, those business owners with a small or medium-scale business, who want to save money on web hosting for their website, should consider subscribing to windows shared hosting. As the adage that says, “the Internet is becoming the town square for the global village of tomorrow” and this means you need the best web hosting for small business. Any business without a website will be treated as an afterthought. So regardless of the coverage area of your business, it’s always good to have a website. Creating a website includes several steps ranging from web design to web hosting and search engine optimization. When it comes to web hosting, the choices are endless. Choosing the right web hosting for small business web site will be more difficult because you will have to seek the maximum benefit at a lower price. User friendliness is another aspect to be considered for a small business web host. This guide will help you to choose web hosting for small business. Both server types commonly used today is a dedicated server and shared server. When it comes to small business web hosting, shared hosting is just fine because shared web hosting is a cost effective solution if you do not need a lot of bandwidth for high performance sites. There are many reasons to choose a shared server to host small business web solutions. A major reason to choose the shared hosting server for small business is a very cheap price. However, if you are planning to expand your small business, you should definitely go with a dedicated server. Storage is an important aspect to consider when choosing web hosting for small business. For small business websites, you may just need a little storage space. If you want to grow your business, you will be able to improve the web hosting plans that offer more storage space. Website maintenance should be performed using the control panel provided by the web hosting company. As you may be new to managing websites, the control panel provided by the hosting service should be user-friendly and easily accessible. Several hosting providers offer a hosting package for small businesses that comes with a very useful control panel that provides easy access to all parts of the web. People have the misconception that the cost of web hosting for small business solution is not reliable. Most people stay away from cheap options shared web hosting, the reliability of the no-fear. The fact is that the reliable web hosting service providers for small businesses are very few. You will have all kinds of features such as technical support 24/7, online fault reporting, system maintenance, and much more. With the introduction of this type of web hosting solutions for small businesses, reliability is a big deal at all. A simple website will only need a simple web hosting solution. Often times, the same company that you use to access the internet will provide a simple website hosting plan part of the service. As your needs become more complex, your hosting needs may also be more complex. If your small business needs to increase the bandwidth (capacity to send and receive data) and increase the data storage, you may require setting a customized web hosting package. In other cases, you might want to purchase certain equipment and host the website on your server. For this guide, we will assume that you will only need a simple solution (maybe even free) from web hosting for small business.